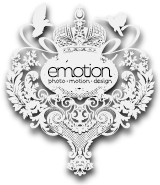 What can we expect from Emotion Weddings? Photos and films that make you laugh, cry, shout-for-joy and stare, awesome memories, the kind of stuff you didn’t even see happening. A passionate, friendly team of photographers and videographers, honoured you trust them, thrilled to be there and genuinely happy for you. We use high-end Canon DSLR bodies along with different types of very high end lenses to capture different moments. For example for detailed shots like the rings we will use a macro lens and for the group shots we would use a wide angle 24mm lens. We constantly invest in our kit at every opportunity so that we consistently improve the quality of our work. Well dressed, on time, friendly and most of the time invisible to you. We won’t be in your face for the entire day. Unobtrusive.. that’s the word we are looking for. Our studio is in Beckenham, Kent and we serve the UK and are happy to travel internationally. We are lucky to have travelled to Zimbabwe, Cayman Islands, Spain, Morocco and hope to add to this list. I am having a destination or out of town wedding, how does that work as far as pricing and travelling? Please send us more details and we can give you a realistic cost once we have considered travel logistics. Engagement sessions can be added to any package, we look at this as a great opportunity to get to know each other better. Potentially a great opportunity to create a short-film about you and something that could be screened at your reception. We are all about the story. Can our friends take pictures at the wedding? This is an exciting day for friends and family, and most will have a camera with them to record the memories. It is only a problem if guests get in the way of important shots – like the procession down the aisle, the first kiss, formal shots etc. Also, other people taking pictures during formal group shots can slow everything down by distracting the guests. We don’t want a group shot with everyone looking at a different camera. Trust us it happens! Remember that at the end of the day you are paying your official photographer to get the photographs you want. There is always an avid photographer in every family, but our team always need our space and opportunity to work and get the best for you. We insist that we are the only official photographers or cinematographers for your events. What pictures will you take at our wedding? It’s very important that we take the pictures you’d like us to take which is one of the reasons for the pre-wedding meeting as it helps give us an idea of your ideas and preferences. We can supply you with a sample list which you can adapt as you wish. Why should I hire a professional, my uncle has a good camera he could do it? Would you let your uncle cut your hair? As professionals we have experience and will be at ease throughout the day, we will also have the best equipment to produce good quality photographs and films. Do you have any terms or a contract? Yes, our terms are outlined in our contracts and we will email you a copy for review as we progress to the booking stage. This is where the skill of the photographer really comes into play as it is often not easy to produce a varied set of photographs all indoors, particularly if the facilities in the reception venue are limited. These are certainly things we should discuss. Just like every couple, we are keeping an eye on the weather report too. We would like both photography and cinematography, what should we know? For each service we provide it is always necessary to have at least two team members covering photo and two team members. We have found that with out adequate coverage the productions can become diluted. For extravagant coverage we would even recommend adding a third member who can make the productions outstanding. For example a third cinematographer can handle jib/crane shots, steadicam. A third photographer can get even more shots, guest reactions, a wide angle and so much more. During our discussions we will outline the merits and benefits, and once we have received full coverage details we will be able to quote you with many options at different investment levels. First and foremost you must tell all your suppliers, including us. This should be done in writing and at the earliest opportunity. Unfortunately, the retainer is not refundable. If the wedding date is within three months the whole amount will have to be paid, as we are very likely to have turned down other bookings for the same date. If you are cancelling in order to reschedule, then hopefully we can just move the date and nothing will be lost. We include most of this in the contracts that form part of the booking process. The feature film is your creative edit. This is what you will be amazing your friends and family with. The Live Edit allows you to relive your ceremony homily and vows, special reception spotlight dances (first dance and parents dances), and your reception toasts in their entirety, without special editing but with multiple angles. Do I get to see all of the footage from my ceremony and reception? When we shoot we are generally shooting for creativity (cinematography), not for coverage (videography). The only parts of the day that are filmed entirely are the ceremony (longer ceremonies may be truncated), the first dance, parents/special family dances and any toasts. These are included in the Live Edit. Even still, because of our shooting methods and because your Feature Film is our primary focus, these parts may not be cleanly filmed at all times. We would rather create a compelling Feature Film than a coverage video. We would really like a longer edit eg 1 hour or more as well what can we do? These edits are generally very time-consuming, however we do appreciate that the client might prefer a long-form edit. We are able to offer these and provide a day rate for editing. Generally speaking, we run about a 2-6 month turnaround time on your final products. Your contract will state that it could take up to one year from your wedding in case circumstances prevent us from maintaining that expectation. We would rather be completely honest up-front about this aspect now and over-deliver for you rather than over-promise you. How is the film delivered? We produce your film onto HD DVD or BluRay. We also deliver your Feature Film in the form of a high-definition digital master file on a USB drive with custom packaging. This file will provide the highest-quality viewing experience as DVD and Blu-ray Disc seems to be on its way out. Most modern TV’s can play USB media and HD media directly.